Roland Rogers retired from the Royal Navy in June of 2002 after a long career as a specialist Oceanographic and Meteorological Officer. His RN career spanned appointments in teaching, forecasting and undertaking research in naval oceanography and underwater acoustics, procurement of naval oceanographic equipment and military marine environmental impact assessment. He recently retired as the Advisor on Marine Law and Policy at the National Marine Facilities Department at the National Oceanography Centre Southampton. He specialises in the legal regime of Marine Scientific Research, Marine Autonomous Systems and Arctic Governance. Roland was the NOC Operational Manager for the Marine Autonomous Systems in Support of Marine Observations [MASSMO] NOC programmes. He was the Project Leader for the SBRI Long Endurance Maritime Unmanned Surface Vehicle [LEMUSV] programme and was the current Project Leader for the Adaptive Autonomous Ocean Sampling Network [AAOSN] SBRI project. He has undertaken MoD funded research in a number of areas including the legal regime governing naval Marine Autonomous Systems. He has 18 years’ experience of working in the Marine Autonomous Systems domain. 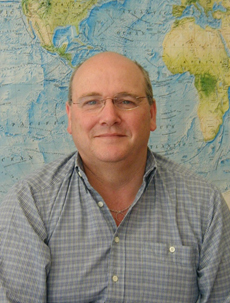 He was the NOC Defence Champion and is a member of the UK Marine Autonomous Systems Regulatory Working Group. He also served as the Alternate Head of the UK Delegation to the IOC.